The Geotechnical Society of Edmonton (GSE) is a vibrant organization with an active and engaged membership comprising individuals in private consulting, academia, government, and industry. The GSE hosts a series of monthly technical presentations between September and May, and organizes a one day technical symposium or short course on an annual basis. Other events include a student retaining wall construction competition and occasional field trips to sites of local geotechnical interest. Our Annual General Meeting is held in May and marks the end of the technical presentation season. 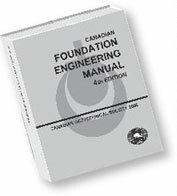 For detailed information on the GSE events, executive, awards, sponsorship, and archives, please visit our website at www.geotechnical.ca. Please contact the Geotechnical Society of Edmonton at Edmonton@cgs.ca if you have any comments or suggestions.